Troy Urdahl has been St. Anthony Village’s Director of Athletics and Activities since 2005. Along with his activities director duties, Urdahl is also the Director of Facilities and head baseball coach at SAVHS. Urdahl, his wife Rebecca, daughter Violet, and sons Lincoln, Calvin and Mason are St. Anthony Village residents. In the school’s history since opening its doors in 1961, only two people have served as activities director prior to Urdahl. SAVHS’ former assistant principal, Malley Smith, handled the athletic director duties briefly before Don Dennison became the district’s first A.D. When Mr. Dennison passed away in 1986, Gary Palm was chosen as his successor. 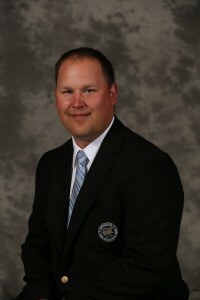 Urdahl received his Bachelor’s degree and earned collegiate letters in football, hockey, and baseball at Hamline University in St. Paul, later he obtained his Master’s degree in Athletic Administration from St. Thomas University and doctorate from Bethel University where he researched high school student-athletes’ participation experiences. Dr. Urdahl is the Past-President of both the Minnesota State High School Coaches Association and the Minnesota State High School League’s Board of Directors. Urdahl is an active member of the MSHSL Coaches Education Committee and Why We Play faculty. You can contact Troy Urdahl at turdahl@stanthony.k12.mn.us or at 612-706-1105. The Huskies are excited to welcome Patrick Tschida to the St. Anthony Village Activities Department staff. Tschida is entering the 2017-18 school year as our newest member, serving as the Activities and Facilities Assistant. Tschida received his bachelor’s degree in Sports Management from St. Cloud State in 2013 and was a Supply Chain Analyst at Best Buy Corporate before joining the SAV Huskies activities and facilities staff. 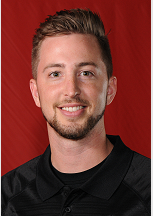 Patrick played baseball in college and has also held many coaching roles as a Varsity Boys Basketball Assistant, JO Volleyball Coach, and Legion Baseball Coach. Tschida isn’t new to the world of high school sports and activities, his father, Bill Tschida, is the Activities Director at Farmington High School and has been an AD for 20 years. Patrick is an active Minnesota State High School League basketball official and baseball umpire. Tschida resides in Golden Valley and is excited to be a part of the Huskies staff! Families with any questions about fall sports or activities, including registration questions, can reach Tschida at or 612-706-1103. You can contact Patrick Tschida at ptschida@stanthony.k12.mn.us or at 612-706-1103.